Taking the lead of its Mother Ship Facebook, Instagram announced some new tools designed to make Instagram a better place for business. Instagram is already being used by many businesses, both small and large, to effectively promote their products and services. After listening to customer feedback three key needs became clear to Instagram: Stand out, get insights and find new customers. Business Profiles will be free to all businesses and may include a contact button that enables a visitor to call, text or email the business. There will also be an included map and directions to the business location. Instagram Insights for business on Instagram will provide information about who their followers are and which posts do better than others from within the mobile app. The Promote Button lets a business pick a post they’ve already shared on Instagram and add a button encouraging potential customers to take action. 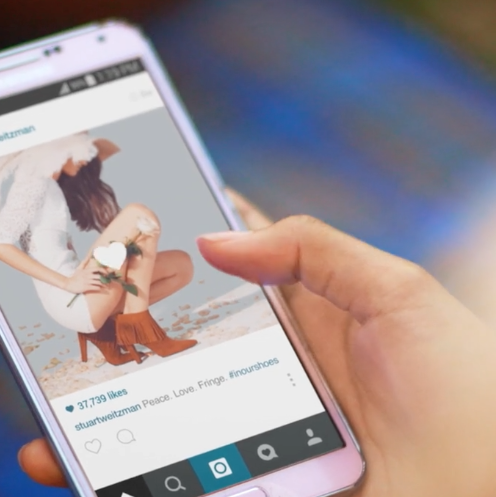 Instagram enables a business to target the audience seeing the button and will suggest targeting as well. This is likely a for-fee advertising feature just like Facebook, but incredibly this aspect is not mentioned in their blog announcement. Instagram Business profiles, insights and the ability to promote will be rolling out in the US, Australia and New Zealand in the coming months, and will be available in all regions globally by the end of the year. YouTube, Facebook, Twitter, Microsoft Agree To Censor EU "Hate Speech"